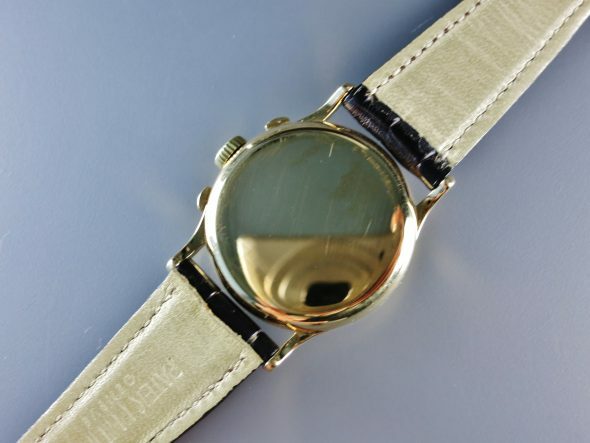 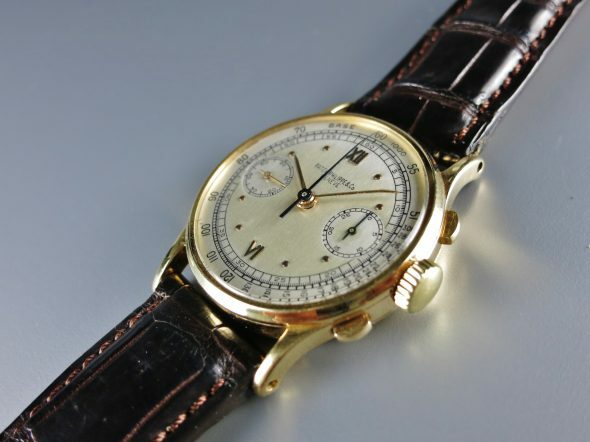 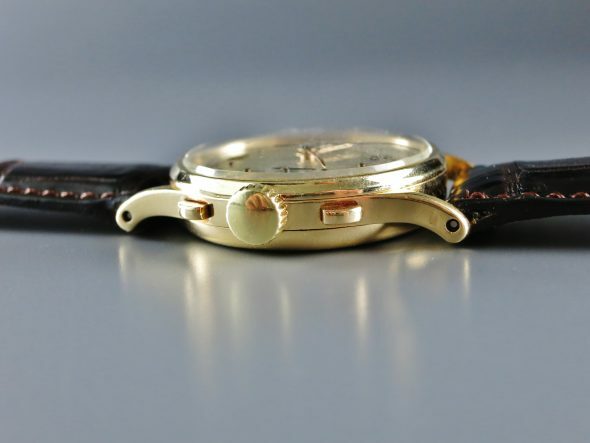 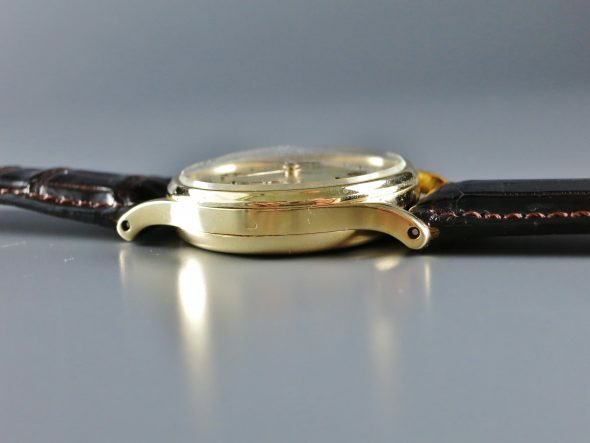 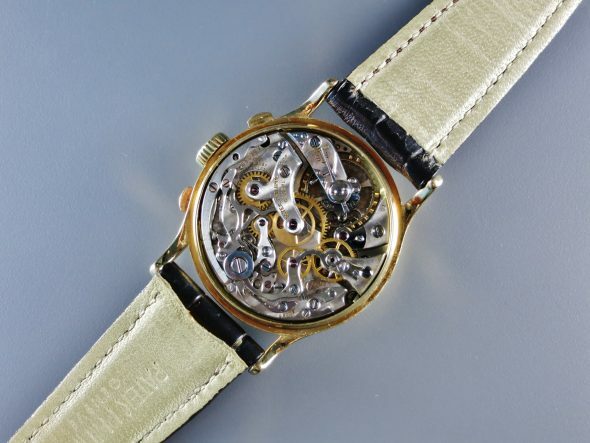 A fine 18k yellow gold chronograph wristwatch ref.130 wtih roman and dot indexes. 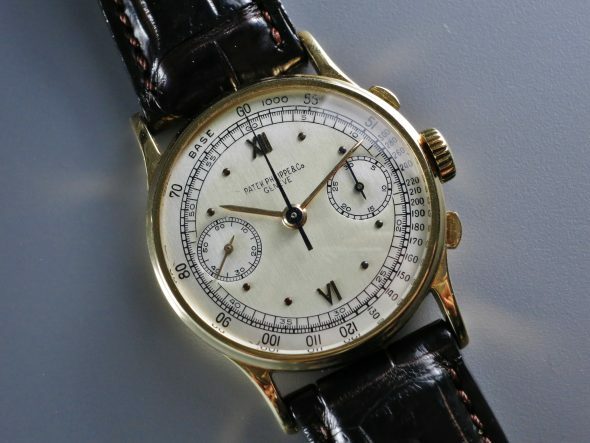 With Patek Philippe Extract from the Archives confirming production of this watch in 1941 with raised hour markers in gold and subsequent sale on December 26th, 1941. 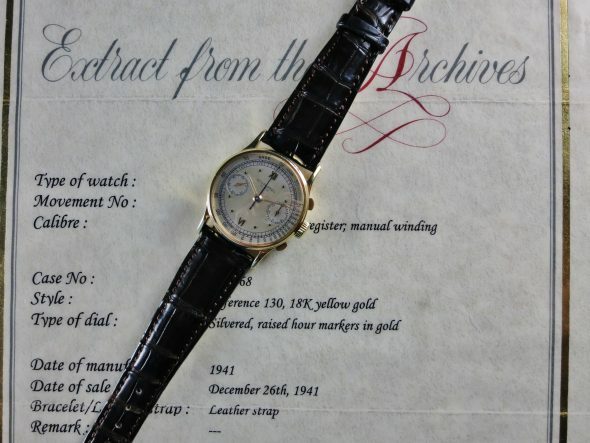 Aspa Nihonbashi, 2-1-1 NIhonbashi Hongoku-cho, Chuo-ku, Tokyo,103-0021, Japan Onbehalf co., ltd.